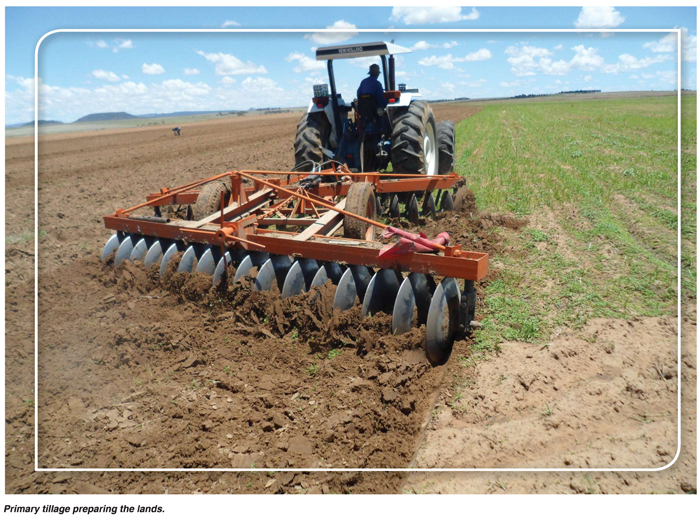 While travelling around South Africa and looking at various grain cropping practises one can observe the various attempts on our farming lands to introduce or continue with minimum or conservation tillage over conventional tillage. Conventional tillage involves many mechanical operations starting with deep ploughing, deep discing, ripping, shallow tyne workings, and fine seedbed preparation after the harvesting of different grain crops, in both winter and summer production seasons. Thereafter a fallow period is given to enable moisture capture before the planting of the next crop. This approach results in a bare soil surface exposed to wind and water erosion and high compaction after heavy rains which then needs to be loosened again to assist in weed control and to promote moisture absorption from subsequent rainfalls. Conservation or minimum tillage was introduced on quite a large scale in the late 1970s throughout the USA grain producing areas and adopted by farmers in many other countries including grain farmers in South Africa. There is thus a large body of research and information available on the success or failure of the different systems implemented. 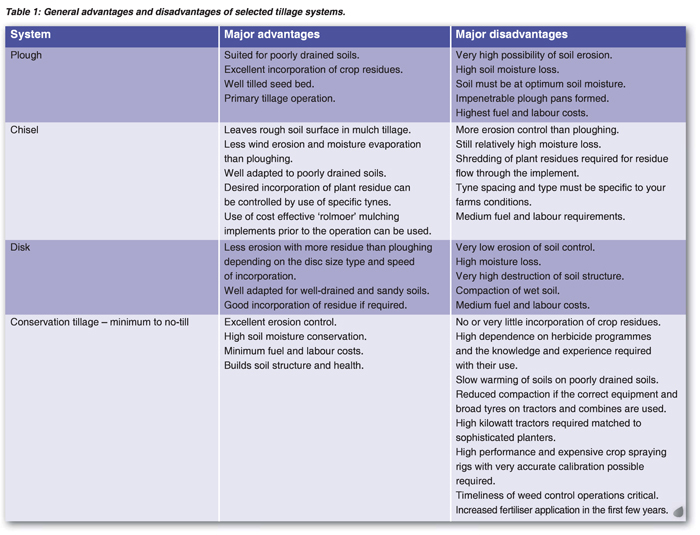 Conservation tillage encompasses many different levels within a reduced tillage menu. The techniques used range from stubble-mulching techniques keeping some residue on the soil surface by doing only some tyne operations. Then you get no-tillage where the only disturbance to the soil between crops is the planting operation with specially adapted ground engaging planter discs or tynes. Conservation tillage is defined by keeping at least 30% of the previous crops residue on the soil surface between crops. Weed control in conservation tillage relies on the total use of multiple combinations of chemical sprays in several applications. The success of any method or system adopted largely depends on the soil potential and type within the limitations of the rainfall and climate in your farming region, the micro environment and the farmer’s ability to apply the correct operations on time. Some farmers seem to find it difficult to adapt to the requirements and proper implementation of conservation tillage while others improve their soils and thrive with improved yields and higher profits. Where do you stand in your farming operation? The success of any system chosen largely depends on the optimisation of the equipment chosen and the pre-planning of the no-till planting operation. In the medium potential areas with sandy loam soils and the continuous use of the same chemicals year after year one can see farms where the lands seem to be ‘dead’. Planning for crop rotations and grass leys in a 5 to 7-year cycle should be carried out to reduce the dependence on any one chemical. Some farmers have virtually bankrupted themselves following badly implemented no-till farming techniques over several years. You must choose what suits the existing set or combination of tractors and implements that you have on your farm best. The cost and risk of moving into no-till or minimum with new expensive equipment must be carefully considered. 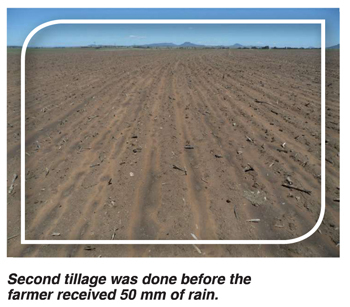 If you want to be inspired to change from your conventional tillage to conservation tillage please visit a farm where no-till or minimum till has been implemented over seven years on dryland, where the rainfall is adequate (probably over 650 mm per year), or on high potential centre pivot irrigated land. Dig into the soils and you will find no soil crusting, earthworms abounding, improved aggregation of soil particles, increased humus content, no compaction, improved soil tilth, retention of moisture and vastly improved fertility with a high build-up of diverse good soil bacteria and mycorrhiza. The soil system thus created can provide the crop planted with nutrients over the whole season and produce highly profitable crops. The full conventional system produces the opposite effect of every factor mentioned above. Remember it takes many years to achieve the creation of an ideal soil in practice. Carefully consider the factors involved, as outlined above, to be able to make a change, in order to improve your soils and potential income so as to be able to survive as a successful farmer in the coming years.